← How Well Do You Know Quilt Block Patterns? Do you love to cross-stitch? Cross stitching is one the world’s oldest forms of embroidery and it is making a big come back. 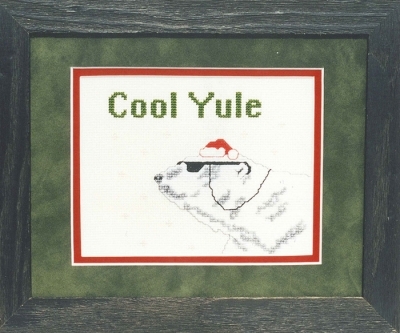 Here at QuiltWoman.com, we carry several Nan Baker Cross Stitch Patterns. From now until December 18th, 2013, we are offering these patterns at 20% off! Nan Baker of Purrfect Spots has been stitching all of her life and created her company to combine her love for needlework and animals. Nan designed cross stitch and needlepoint designs before she started designing quilts. 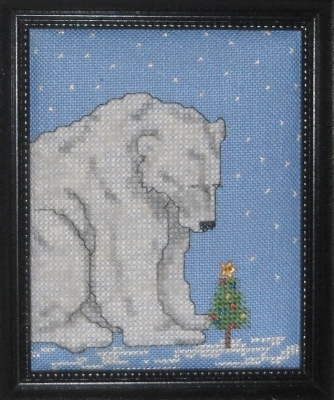 The polar bear pattern shown above is so much fun to cross stitch and has its own distinct personality. He is just too cool with his glasses. The pattern is based on the artwork of the famous watercolorist, Will Bullas. How adorable is this Christmas Crab pattern? 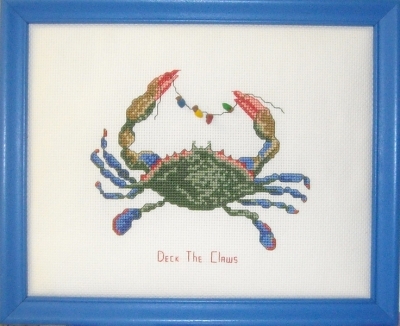 This pattern features a crab celebrating the Christmas & holiday season in its own way. The Christmas Crab is getting in the spirit by decorating with Christmas lights. This polar bear says a Christmas prayer at the Christmas tree on this silent night. He is also from the artwork of the famous watercolorist, Will Bullas. The finished size of this pattern is; stitch count 56W x 70H and it is designed for the intermediate cross-stitcher. Visit QuiltWoman.com for more Nan Baker Cross Stitch Patterns at 20% off until December 18th. This entry was posted in Cross stitch patterns, Designers, patterns, QuiltWoman and tagged cross stitch patterns, Nan Baker, Puurfect Spots, QuiltWoman.com. Bookmark the permalink.